Need your vehicle towed quickly and safely? Check out our car towing services. Our tow trucks can assist with any make or model. We don't just tow cars. We can transport trucks, motorcyles and buses too. We can handle almost any size vehicle. 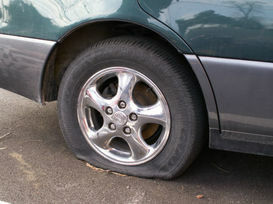 Flat tyre? Run out of fuel? Need a jump start? We offer a full range of roadside assistance services in Sydney and surrounding suburbs. If you're stranded on any of Sydney's roads and have no idea what to do, call Fast Sydney Towing. 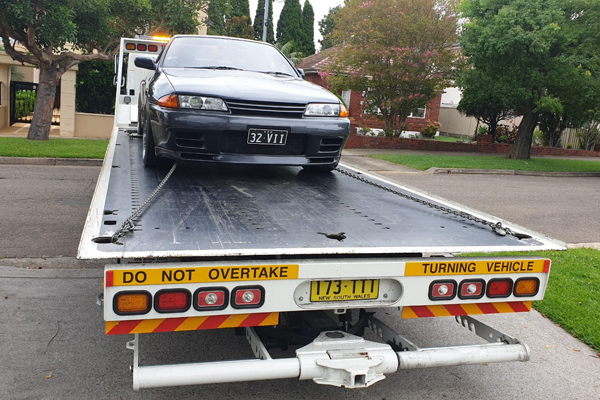 Fast Towing Sydney is a highly reputable local towing company that can provide you with the speedy, convenient and friendly towing service to get your vehicle off the road ASAP. We offer a complete range of services including general car towing, specialised towing and roadside assistance. Our company prioritises rapid and dependable towing assistance at all times. We respect you and value your time. That's why our team members do everything they can to provide our customers with the fastest and most reliable towing service Sydney and surrounding areas. If you've dealt with other towing companies you may have found that they don't deliver on their promise to be on time and deliver a quality, dependable service. We're here to show the rest of the towing companies out there how things are really done. They're done the Fast Sydney Towing way, that's how! Lighting fast service is the name of the game for our business. If you call us to request towing assistance, we'll get to you immediately. We'll help you continue on with your day before you know it. If you have any concerns that involve being late for big work meetings or cancelling vital obligations, we can help. 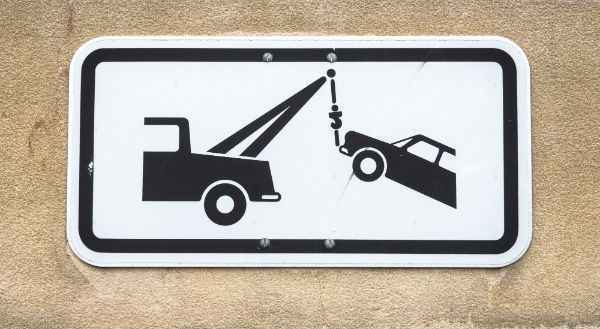 Car Towing - We can pick up you and your vehicle when you need it all around Sydney and far surrounding areas. We can deliver to your home, a mechanic, wrecker or any other type of business. We can also pick up sports cars and taxis. 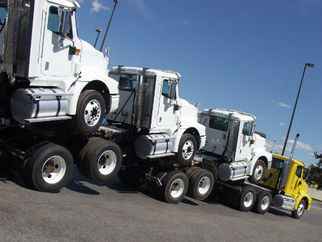 Truck Towing - We have the capabilities to shift the biggest vehicles any time, anywhere. Motorbike Towing - We have specialised vehicles to deal with the safe and secure pickup (and move) of your bike. Bus Towing - Our towing capabilities extend to buses of all shapes and sizes. Forklift Towing - Our trucks can cater for forklifts of all sizes. Emergency 24/7 Towing - We understand you often need our service at the most inconvenient hours and we are here to help you no matter what time. Tilt Tray Towing - We have a large number of tilt tray trucks and the capabilities to tow all types of vehicles, small and large. Abandoned Car Pick Up - Say no more. Point us in the right direction and we will sort it. 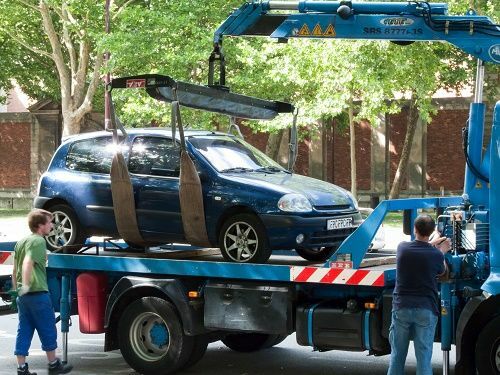 Long Distance Towing - In many cases a vehicle needs to be towed a long distance between areas of New South Wales and we are ready perform this at competitive rates risk fee. Container Towing - Our towing vehicles are suited perfectly for towing containers or many different sizes. Show Car Towing - We take all precautions when relocating your prized possession. You don't have to ask yourself the question "Who is the best tow-truck company near me?" anymore. The answer is right in front of you. It's our highly reputable company, Fast Towing Sydney in New South Wales. All of our services are available 24/7 for emergency situations. Fast Sydney Towing is available to accommodate your towing needs 24 hours a day, seven days a week. There are no exceptions to this rule. It doesn't matter if you need our towing help first thing in the morning or in the middle of the night on the weekend. Our staff members are always available to assist you. We know how unpredictable car problems can be. They can pop up whenever they want and without a hint of a warning. They can occur when you're at your busiest. They can occur when you're taking it easy and without a care in the world, too. That's why we go out of our way to provide Sydney residents with the finest and most dependable 24-hour towing service around. If you need access to a tow truck, you can phone us at literally any hour. Our representatives are always on hand to take phone calls from customers. They're friendly, hard-working, patient and caring professionals who can reassure you when you feel your most upset and anxious, too. We're incredibly proud of our top-quality staff here. 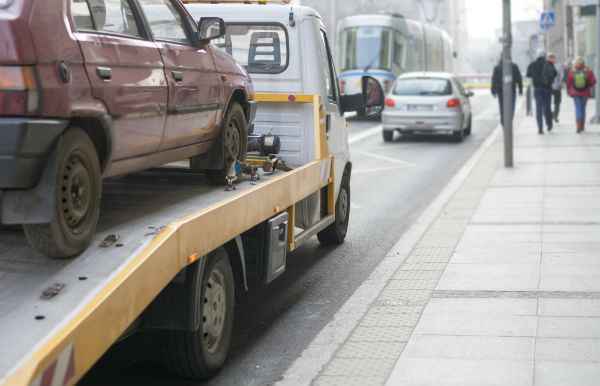 Convenient roadside assistance is yet another strong suit we offer here at Fast Sydney Towing. If you have any unpleasant emergency while behind the wheel, you can count on us to save the day. We can assist you with flat tyres, fuel shortages, engine issues and much more. Our staff can get you back on the road in a swift and efficient manner. We can help you quickly forget you ever had a crisis in the first place! Our team members have extensive tow truck driving backgrounds. They're also genuine roadside assistance experts. Their auto expertise is top of the line. 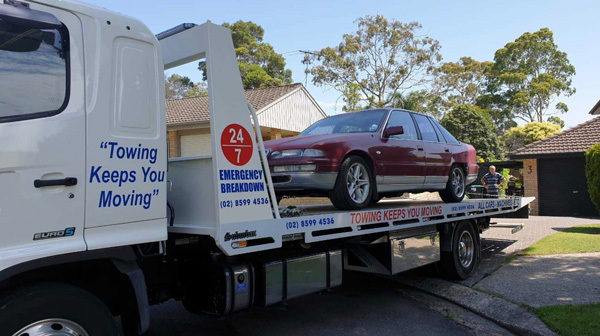 Fast Sydney Towing provides customers with a wealth of options in diverse tow truck services. If you've experienced an auto breakdown or accident, you can turn to us for high-quality towing assistance. That's not where our help ends, however. 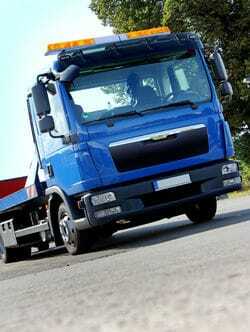 That's because our company also concentrates on specialised towing, abandoned vehicle retrieval and long distance towing. If you're searching for a firm that can accommodate any of those needs, look no further. We offer Sydney locals the most in-depth assistance around. We take pride in our many available specialties and areas of expertise. If you're in need of reliable towing assistance, the process is easy. Just give us a quick phone call or fill out the contact form on this page. Our courteous customer service team will then take care of any and all arrangements for you. Your convenience is our top priority. Fast Sydney Towing is a company that's 100% committed to customer convenience. We're only happy when our customers are happy. The exceptional staff members here at Fast Sydney Towing are a seasoned, knowledgeable, and devoted group of people. We have decades of experience, including across other parts of Australia. They do whatever they can to keep our customers calm and happy. They know just how nerve-racking auto troubles can be. That's why they offer customer service that's the best of the best. If you're looking for towing assistance from a company that always focuses on the details and fixes your problem fast, that's us. Why Are We Renowned As a Tow Truck Sydney Company With A1 Customer Service? We never settle for anything that's less than number one here. Fast Sydney Towing is a firm that's perpetually aiming for full customer satisfaction. 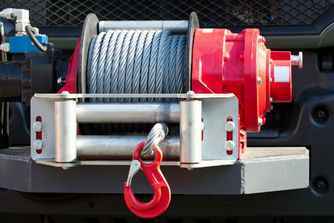 Our objective is and has always been to be the top towing business in the city. That's why we care so deeply about superior customer service and satisfaction. If you want towing assistance from a company that will treat you like royalty, you should get in contact with Fast Sydney Towing right away. We always make a point to listen carefully to our customers' needs and wishes. We love being able to give them exactly what they want. We're not a company that likes to say "no" to our valued customers. We have a "can do" attitude that shows our customer base that the sky is truly the limit. We're a Tow Truck Sydney company that genuinely cares. 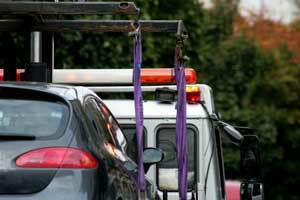 People in Sydney can lean on us any time they need safe and dependable towing service. Our team members are experienced and knowledgeable professionals who have been working in the towing world for a long time now. If you want towing assistance from people who can make you feel fully comfortable and secure, we're without a doubt the smart choice for you. We're an insured and licensed business that can give customers the promise of trustworthy towing service. We're a company that's highly enthusiastic about towing and have the biggest range of tow trucks Sydney has on offer. We're also a company, however, that approaches towing with the highest degree of care and diligence. Contact us for a free quote and quick service today! ​Outrageous prices just aren't our style here at Fast Towing Sydney. That's not how we operate. If you're always hesitant to call for a towing service due to worries about high and unmanageable costs, we can give you ultimate peace of mind. That's because we're a business that stresses the immense value of rates that are fair and budget-friendly. If you're looking for economical yet high-quality towing service anywhere in Sydney, no other business can top ours. That's the truth. If you're interested in excellent value, we can make you smile. Nothing makes us happier than providing our customers with the convenience of low rates and exceptional towing service. Fast Sydney Towing is a proud local company. We're delighted to cater to the tow truck needs of Sydney residents day in and day out. This city means a lot to us. We love the beautiful Harbour Bridge, the Sydney Harbour itself, the beaches and many other attractions. If you're interested in towing service from professionals who are more than familiar with this beautiful metropolis, you can count on us completely. We're also passionate about doing great work for its countless productive and honest citizens. Our team members are well-versed in Sydney and all nearby locales, too. That's why we can promise our customers fast and efficient towing assistance at all times.